L’Uomu Nokka organic broiler chickens are Hubbard CY, an organic breed that is able and allowed to move around freely. Our broilers are raised on Finnish organic farms on Finnish organic feed. They enjoy plenty of daylight and fresh air as they run around in a garden, digging and socialising. Finnish nature, with its expansive coniferous forests, thousands of lakes and variance in daylight between the seasons, gives Finnish organic broiler a distinctive clean taste. Finnish food safety is world class. Our organic chickens get plenty of sunlight thanks to our minimum specifications for the number of windows in the buildings they are raised in. Our broilers also get to go outside every day, except when the temperature falls below zero. But even then, they get to walk around on a patio. Every chicken is allocated four square metres of outdoor space, which means that a large breeder needs a pen as large as four hectares! Half of the outdoor pen must be covered by vegetation, ensuring that L’Uomu Nokka broilers enjoy a veritable garden party every day. Our organic broilers are raised on a feed that must be 50% from the breeder’s own organic farm and the other 50% organic feed to ensure that the broilers get the necessary nutrients. Organic broiler meat differs from conventionally grown broiler meat in terms of both taste and texture. L’Uomu Nokka broilers live a life that is similar in length and character to that of the breed’s natural life, which results in meat that has a denser texture and richer aroma. L’Uomu Nokka broiler pieces are hand-cut, which means that they have a distinct look with a bit of personality, like a chicken that spends much of its life at a garden party. The meat is packaged with the skin on and, in many cases, the bone in, as they provide additional flavour for your meals. All this makes for broiler meat that is fit to grace the finest of meals. – for your best moments. All our products carry the Produce of Finland label. The label denotes the origin of packaged Finnish foods and may be displayed on the packages voluntarily. The label may be used on food products manufactured in Finland using Finnish ingredients. 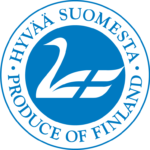 The Hyvää Suomesta label is owned and administered by Ruokatieto Yhdistys ry. The proper use of the label is supervised by audit. All of our products carry the EU Organic production logo as a proof of being certified to the strict rules of EU Organic farming. The EU requires an equally strict control system with checks carried out at every stage of the organic chain. Every operator (farmer, processor, trader, importer or exporter) is checked at least once a year, or more often on the basis of risk assessment. All of our products are KRAV-certified to meet the regulations of the Swedish Organic production. KRAV standards are adapted to the IFOAM Standards and included in IFOAM Family of Standards. 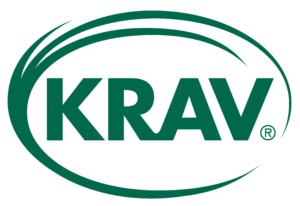 KRAV standards also fulfil the EU regulation for organic production (EC) No 834/2007. In some cases KRAV standards are stricter than the EU standards.